Can Herbal Supplements Help You Gain Weight? Why would anyone want to take herbal supplements to gain weight? Often, we hear friends and family bemoaning undesired pounds, but stress, anxiety, grief, changes in habits, digestive problems and diseases can all cause unwanted weight loss. Incorporating certain natural herbs into your diet just may provide the answer. While many natural products claim to improve your health by helping you lose weight, supplements that can assist the weight gain process can be useful for individuals struggling to keep pounds on. By stimulating the appetite and improving digestion, they can help these people reach a weight that’s healthy for them. Others who are sick of being “too skinny” and want to gain muscle may also benefit from these products. Weight lifters and other athletes trying to “bulk up” may find that these supplements give them an edge in gaining weight and sometimes couple them with protein powder or shakes to help them get the body they’re working for. Several herbs are commonly found in natural supplements to help you put on weight. Chamomile, known for its relaxing properties, has been used for years as a digestive aid and may stimulate the appetite. It also helps to ease stress and anxiety, both of which can be underlying causes of unwanted weight loss. Blessed thistle, which was used during the Middle Ages to treat the bubonic plague, is also used to treat appetite loss and indigestion, though the Natural Medicines Comprehensive Database states that more research is needed to confirm this herb’s effectiveness in promoting weight gain. Ginger has been used for centuries in the traditional medicine of numerous cultures to treat gastrointestinal issues and increase appetite. Gentian is a bitter herb traditionally used to increase appetite, alleviate the feeling of hunger and help with gastrointestinal issues which may be the cause of decreased appetite. Dandelion root can aid digestion and also stimulate the hunger response, among other health benefits, and offers a host of vitamins and minerals. While no herb contains enough calories to cause rapid weight gain, many supplements can gently and gradually assist the underweight or those looking to bulk up. While these products aren’t a magic bullet—they won’t have much effect on their own—when used in conjunction with proper diet and exercise, they can make it a little easier to put on the pounds. Herbal weight gain supplements are most effective when taken regularly while giving your body the nutrients it needs to increase its mass. This means eating a diet rich in lean protein as well as fiber-rich foods such as fruits, vegetable and whole grains—not just shoveling down empty calories. 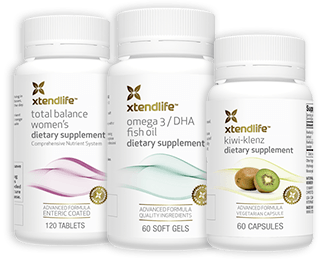 These products are also most effective when the root cause of the unwanted weight loss or low body weight has been identified and addressed. If you’re not sure why the number on the scale is lower than you'd like it to be or than is healthy for you, it’s important to talk to your doctor and find the reason behind your weight issues. Herbal supplements for weight gain are just that: supplements, and not an instant fix in a bottle. However, they can be helpful tools as part of a diet and exercise plan.